The Unassuming Economist | Is the United States Becoming Less of an Optimal Currency Area? 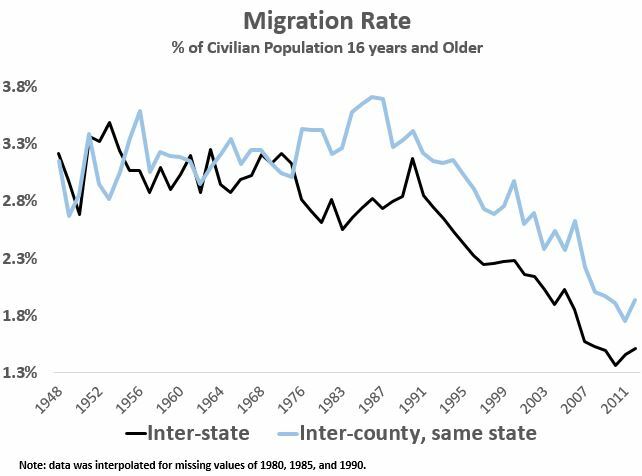 “It took the United States roughly 150 years to become an optimal currency area (OCA), according to economic historian Hugh Rockoff. This long journey meant that it was not until the late 1930s that a one-size-fits-all monetary policy made sense for the U.S. economy. 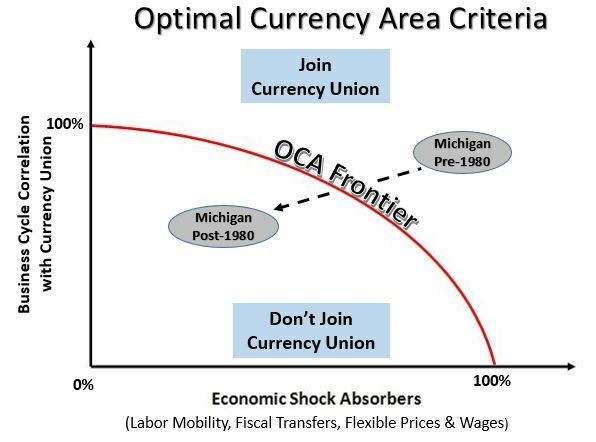 Since then the U.S. economy has often been held up as the best example of a currency union that meets the OCA criteria. This especially was the case when comparisons have been made to the Eurozone, like in this classic Blanchard and Katz (1992) paper. But all is not well in this land of the OCA.